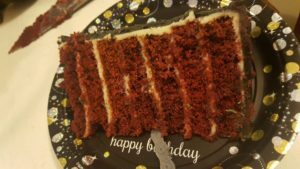 Red velvet cake with sour cream white chocolate ganache recipe. This is the recipe for my favourite cake flavour combination. 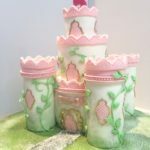 It’s one of the cheaper cakes to make, the cake and filling combo is incredibly delicious and the ganache and cake recipes are versatile recipes I use in a lot of different combinations. It’s a little browner than most red velvet recipes but I’m happy with this trade-off in favour of a better flavour. The sour cream white chocolate ganache surprisingly less sweet than regular white chocolate ganache and slightly cheesecake-like in flavour, which means it can be used under fondant without the cake being too sweet. The recipe makes two 8 inch round cakes. This recipe rises a lot, and it rises fast. The benefit of such a fast rise is that it has a much lighter texture, the downside is that the top of the cake will be very domed. Just chill the cake and level them off with a bread knife or a cake leveler. 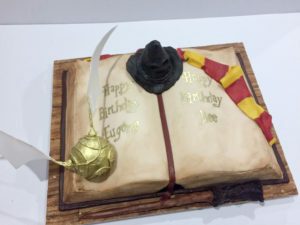 This has become one of my go-to cakes for novelty and carved cakes, because it carves beautifully when it’s cold, but is still a moist delicious cake to eat. It’s a grown-up flavour combination that kids love too. Liquid from a 500g or 600g jar or Morello Cherries. 1.25kg Cadbury melts white chocolate or Cadbury dream block white chocolate, or Callebaut white chocolate. Nestle white melts will work. Red Velvet with Sour Cream White Chocolate Ganache covered in and stencilled with black basic buttercream. This height was achieved with 1 and a half x the recipe for this cake mix (750g flour etc). Line the bottom and sides of the cake tins with baking paper the baking paper should be a little higher than the edges of the tins to prevent overflow spray with canola cooking oil spray. Drop in a tablespoon of cornflour and tap and rotate the tin to ensure an even coating, tap out the excess. 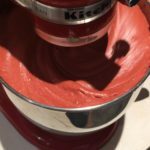 Dry Mix: Add plain flour, sugar, cocoa powder, baking powder, bicarb and salt to the bowl of a stand mixer fitted with paddle attachment. Mix on low for a few seconds to combine. Chop butter into cubes, add to dry mix. Mix the butter through on medium speed until the flour has a crumbly consistency and looks like rough breadcrumbs. Wet Mix: In another bowl or jug add milk, vinegar, vanilla and microwave for 30-40 seconds to take the chill off. Whisk in eggs. Pour two-thirds of the now slightly curdled looking wet mixture into the dry butter-flour mix. Mix slowly for a few seconds to combine then mix on medium high for at least 1 minute. Add remaining wet mixture and mix until fully combined. 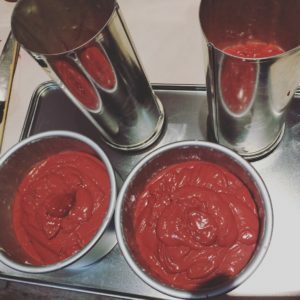 In total the mix should get roughly two minutes of mixing in order to develop the structure of the cake, skipping this step will create a less even texture. 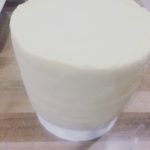 Coating the flour in butter first and using cake four means the batter can take a lot more mixing than a regular cake batter would before it becomes tough, but try to keep it to about 2 minutes in total for best results. Pour the mixture into prepared cake pans. Bake at 170 degrees Celsius for roughly 30 minutes before checking to see if the cakes are cooked. 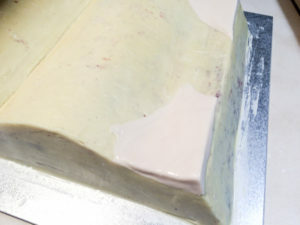 Test with a skewer or a cake tester in the centre of the cake, ensuring the skewer touches to bottom of the tin. The cake is cooked when the skewer comes out clean and the edges are just starting to shrink back from the edge of the tin. Do not open the oven door during the first 20 minutes of baking or the sudden drop in temperature can cause the cake to deflate. I get an early indication by gently bumping the oven if the middle of the cake still wobbles it is too early to open the oven to test the cake. Never rely on a solely on a timer, as the cake will cook faster or slower depending on several factors. In addition to the obvious factor – oven temperature, the temperature of the batter before the cake goes in, the type of cake tins and how your oven cooks will all change the cooking time. Sense of smell, sight, touch and using a skewer are more reliable than a timer for general cake baking. It sounds mental but listening to the bakes works for lighter cakes like this one. 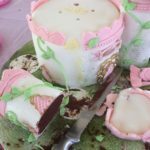 If the surface of the cake is still making a crackling noise that can be heard clearly when you put your face near the cake it is not yet cooked. Pop it back in the oven for another five minutes. Red Velvet with Sour Cream White Chocolate Ganache covered in and stenciled with black basic buttercream. Cool in the tins for 3-5 minutes before turning out onto a cooling rack. Once they stop steaming, cover loosely in clingfilm and place in a freezer to chill quickly, the sudden cold helps lock in the moisture and speeds everything up. Once cold, but not frozen, cut the tops off to level them. I like more layers so I usually will cut each layer in half so there are 4 layers. Liberally brush the cakes all over with sour cherry syrup, leave for a few minutes for the syrup to soak in before stacking with a thin layer of ganache between cakes. 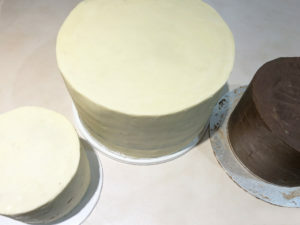 Ganache and ice the stacked cakes to suit your chosen design. Pour juice from the cherries into a small saucepan. Add sugar and lemon. Cook on high until the sugar is dissolved and the syrup comes to a gentle simmer, simmer for 2 minutes. Remove from heat to cool. Keep in refrigerator until ready to use. 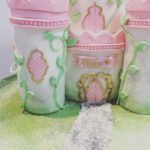 Sprinkle liberally over cakes with a pastry brush, this stops the cake from drying out and adds some sourness and richness to the overall flavour. Use the leftover fruit for other projects, or use it to make jam for other cake fillings. Place all ingredients in a large microwave-safe bowl. Heat in microwave for 1 minute, then in half-minute bursts, stirring between bursts until combined. (Should take roughly 2 and a half minutes in total). Do not overheat, instead stir and use the residual heat to continue melting the chocolate instead risking overheating. Once fully combined pour into large sheet pan and place in fridge or freezer and cool until the correct consistency is reached or the mix sets completely. Scrape back into a bowl and heat in the microwave in 5-second bursts and stir until it has the consistency of peanut butter. Do not mix the ganache while it is setting up after it is first made or it will split. After it has set up for the first time it will be more stable and it can be rewarmed, mixed or even whipped to get the right texture. 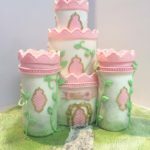 Made with this recipe in sheet pans, layered and carved, covered in sour cream white chocolate ganache and homemade fondant. 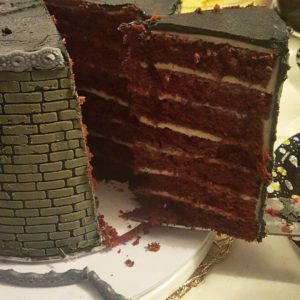 Layered and Carved Red Velvet cake with Sour cream White chocolate Ganache and homemade fondant. Made with this recipe covered in white sour cream chocolate ganache and homemade fondant/modelling chocolate mixture.